Today we hear from Joshua March, Co-Founder and CEO of Conversocial, a company that helps its customers set-up efficient customer service processes. What is your take on the current scene in New York today? I “grew up” in London’s burgeoning tech scene, which 5 years ago was just a shadow of what it is now. It’s been interesting to come to New York, which is about 5 years ahead of London, but still playing catch-up with Silicon Valley (albeit with its own take). There’s a seriously vibrant ecosystem in NYC surrounding startups, developers, angel investors and VC firms, and it’s starting to break out from the pure ad-tech and media background. You can feel the pride that NYC has in the tech scene about the major startups they’ve produced – Buddy Media, Foursquare, Etsy, Kickstarter, etc. There’s a tangible energy here, a characteristic of the city, that affects the way businesses progress and interact with each other, and I’m excited to be part of it. What do you see happening over the next 3-5 years? A vibrant tech ecosystem requires entrepreneurs, angel investors and VCs with relevant sector experience. Historically in NYC, that’s been limited to the ad-tech and media industries. However, within the last few years there has been a significant amount of homegrown success with apps, enterprise software, physical products and ecommerce. Plus, a lot of amazing tech talent has been moving to NYC from the valley, as well as from other countries. This is all driving the next generation of successful NYC tech companies, which will build on New York’s reputation as a vital tech center and encourage increased participation, growth and competition. 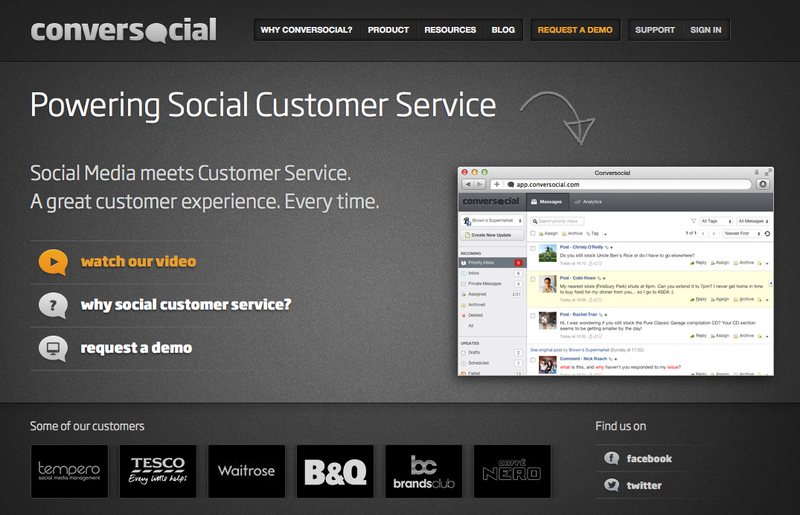 Conversocial recently expanded from its base in London to New York. Tell us about that decision. Coming from London, I’ve always seen New York as the natural home for us in America. The city is very similar in culture and has a great history of reciprocity in business. New York also has an amazing pool of talent (especially in social media, which is essential to what we do), and the time difference allows our New York and London teams to work together easily. Many of our American customers are either in the city (like JackThreads) or nearby in the tri-state area (such as Hertz). I also just love living here on a personal level – what a dynamic, ambitious and exciting place. Where does your company fit in the New York ecosystem? I think being an active part of the community is really important. In London, I co-founded ICE, a group of 150 tech founders who take an international trip together twice a year; and Silicon Christmas, an annual party for London’s tech scene that drew more than 700 guests last year. As a platform that enables companies to effectively communicate with their customers, we pride ourselves on community building and are seeking to do it for the NY tech scene as well. We have quite a few major NYC startups as customers, and we’re starting to organize industry events such as social customer service meetups. We’ve also recently sponsored and ran NYC social media week events and spoken at Internet Week. I consistently encourage my team to attend every event that they can and to take the lead in planning their own. We have such an amazing startup community here in New York, it’s essential that we engage with and learn from each other for our collective benefit.